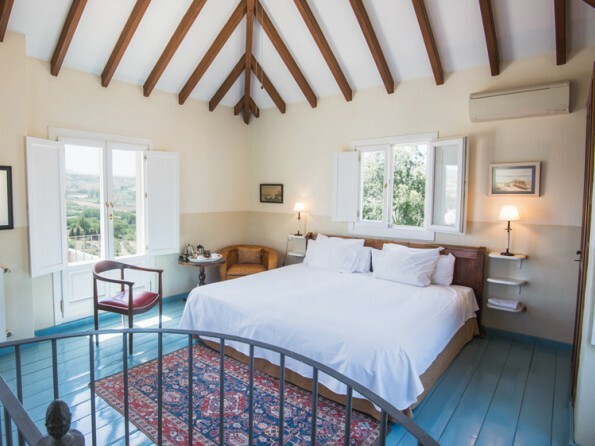 In a renovated rural olive oil mill set in 22 acres of private grounds, with the beautiful town of Ronda within sight, sits the Lodge Ronda, a 7 bedroomed luxury guest residence combining country house comforts with boutique hotel service. It is surrounded by national parks and the famous white villages and is an ideal get away for a group of friends, family, or colleagues. 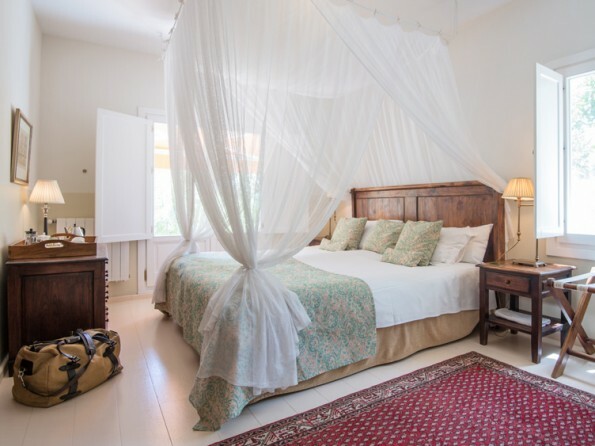 A great base for exploring Andalusia. 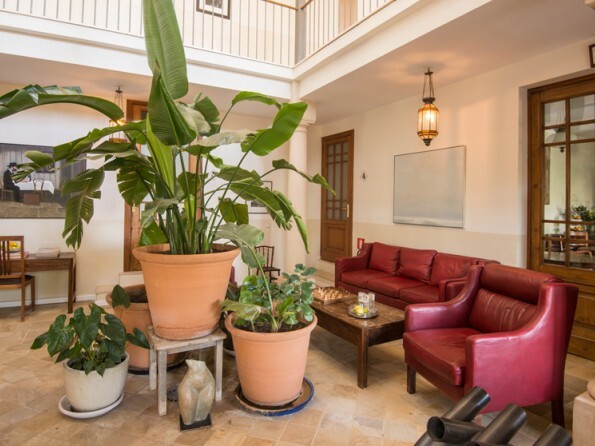 The fully serviced lodge, which can be booked either as a guest house or as a private residence for 4-14 guests, nestles in the heart of Andalucia, with Sevilla, Córdoba, Málaga, Jerez and Granada on your doorstep. The lodge is perfect for small groups coming together, for gatherings of friends and family, or for private meetings. 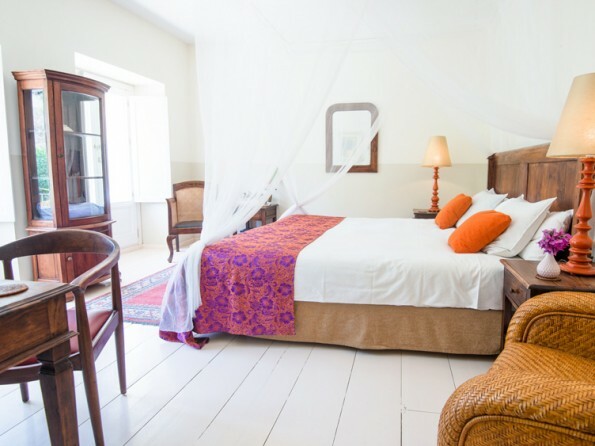 If you imagine a lazy holiday in a small luxury suite hotel where beauty, friendliness and good food are combined, then you have pretty much summed this place up! 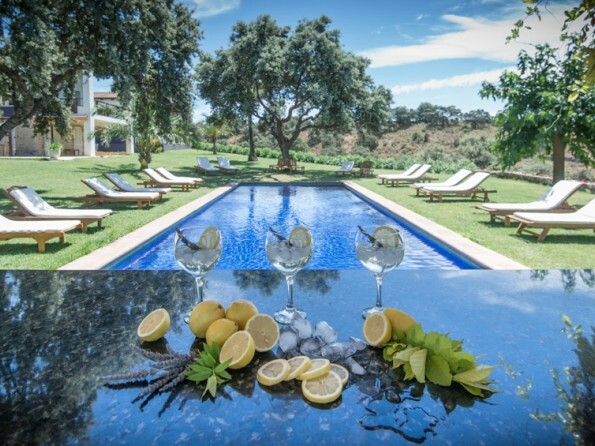 Watch the trained chefs preparing excellent organic food, enjoy body treatments and massages, and soak up the surroundings in one of the most beautiful Andalucian rural accommodations. 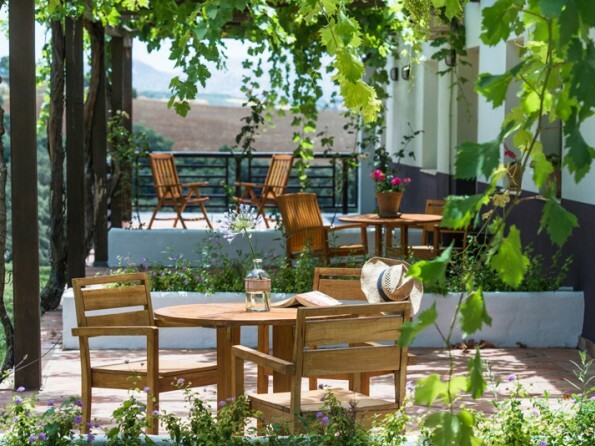 The lodge feels wonderfully remote but it is only 10 minutes from the vibrant town of Ronda, the largest of the white villages. 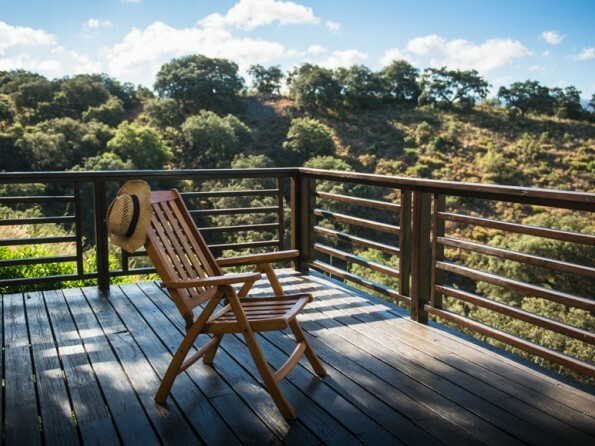 The Lodge is set in the beautiful rolling countryside of Andalusia’s Serrania de Ronda Mountains and is surrounded by national parks and the famous white villages. 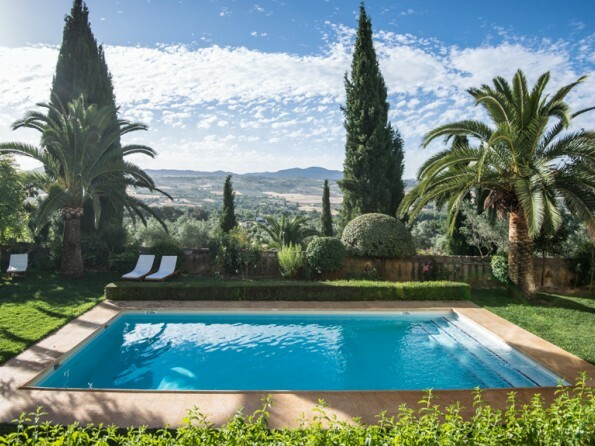 Sevilla, Córdoba, Malaga, Jerez and Granada are right on your doorstep. Historic Ronda with its restaurants is just 20 minutes away and it’s just a 45 minute drive to Los Arceos Golf Course, 60 minutes to the beach and 90 minutes to Malaga and the Airport. 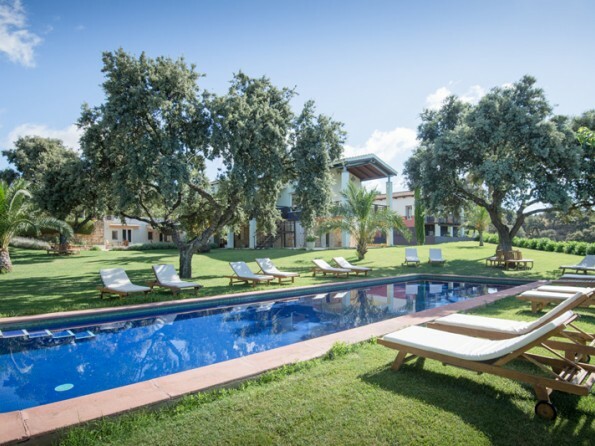 The lodge is 90 minutes from Malaga airport. You can also get here easily from Sevilla, Cordoba, Jerez and Granada. Detailed driving directions provided on booking. The lodge has been designed with a modern, contemporary feel and it is beautifully and luxuriously well-appointed. 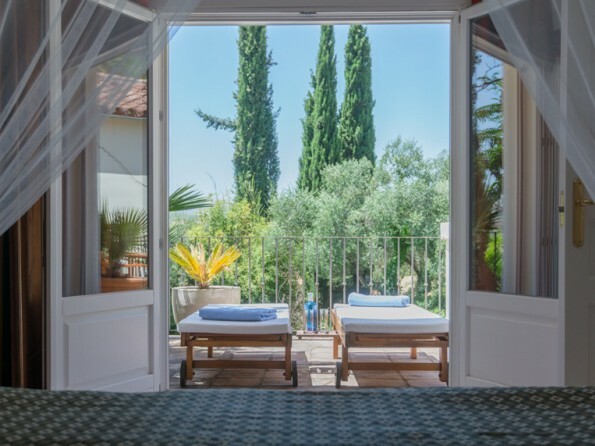 Our aim is to provide the friendly service of a luxury hotel with the exclusivity of your own private space. Admire original art from Tangier to Rwanda, 19th Century "Amsterdamse Joffers" and contemporary abstract pieces. 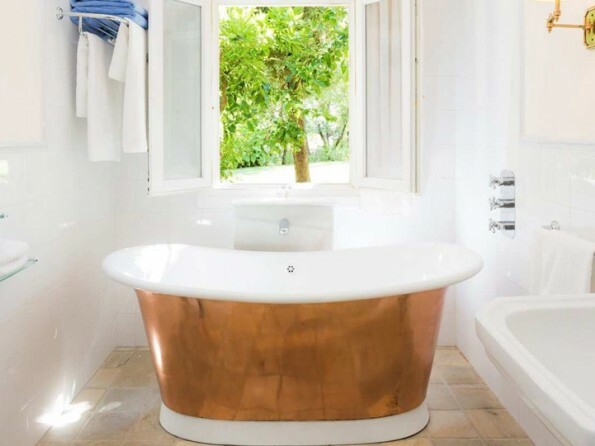 There are 7 double or twin bedrooms, all of which have en suite bathrooms and a private terrace or garden. 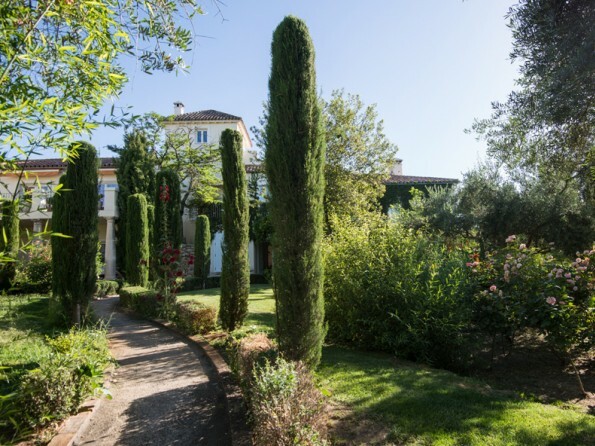 Five of the rooms are around the patio and two further rooms are set in the well-kept gardens. The drawing room has comfortable sofas in front of a large open fire, which we light for you in the winter - perfect for cuddling up or having a siesta. At other times of year, snooze with all the windows open and let the summer breezes caress you. 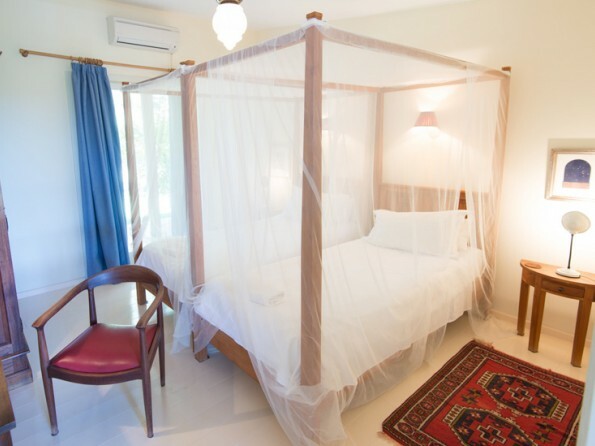 The lodge benefits from extensive well-maintained gardens, full of both sunny and shady spots for you to relax in. The 18m swimming pool is filled with ionised water which feels like it comes straight from a mountain spring and every dip feels revitalising. And if you’re not in the pool you can laze around it on one of the comfortable sun loungers. 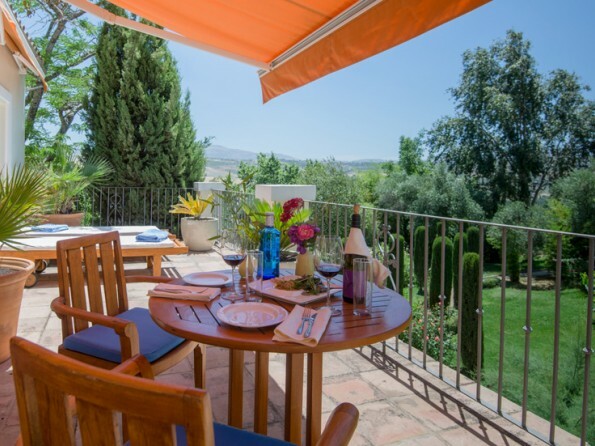 Enjoy a light lunch on the patio or chat in the shade of the mulberry trees. On a summer evening, the cicadas serenade you while your candle lit dinner while you sample the finest wines from our local bodegas. The unspoilt views of the sunsets and the mountains are something you will never forget. Our conditions for payment and cancellation policy are as follows. To confirm a booking we require a 30% non-refundable down-payment of your reservation. On making this reservation you commit yourself to our cancellation policy. The remaining amount needs to be transferred six calendar weeks in advance of your arrival. If you cancel six weeks before your arrival we will charge you 70% of the total sum and if you cancel within a week of your arrival we will charge the whole amount of the booking.